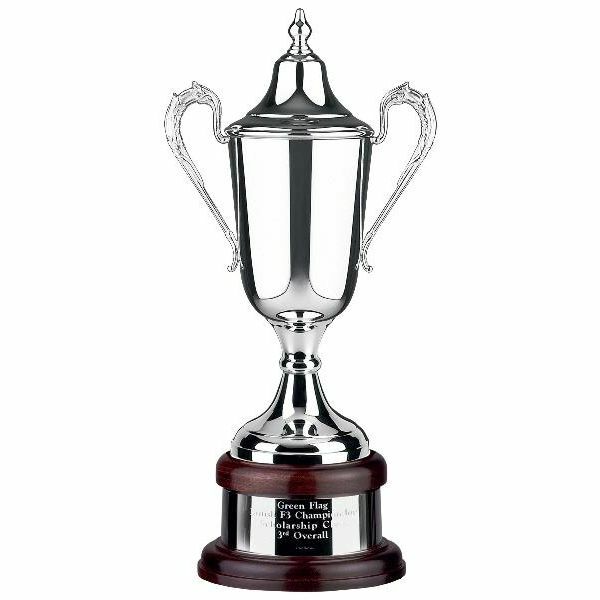 The engraved silver plated Formula Cup is 38cm high, but for an additional cost, is available in two larger sizes, 44.5cm and 54.5cm. There is a silver band on the base of the cup. Engraving of up to 50 characters on the cup and 50 characters on the mahogany base is included in the price of the silver plated cup, although additional letters may be engraved. The Formula Cup is available with a hand chased cup, contact us for more details. The engraved silver plated Formula Cup includes free postage.